What’s a mall that has the look of an indoor strip mall and the feel of a flea market with a full blown grocery store? 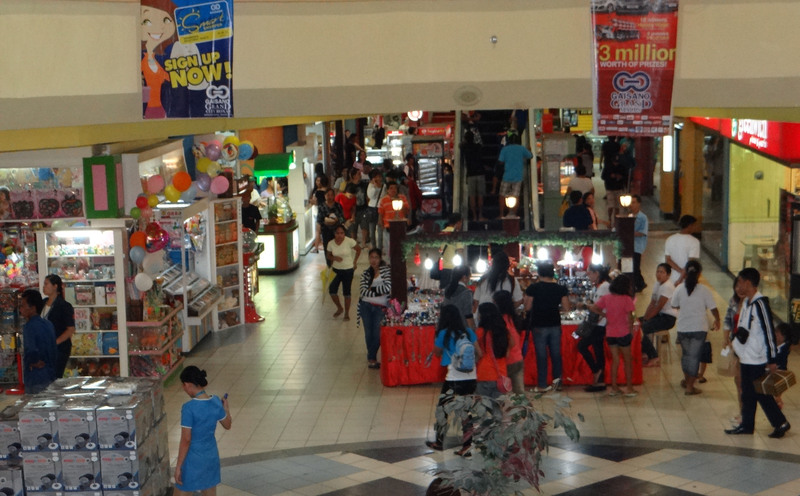 I give you Gaisano’s, the Philippine’s largest, well, it’s hard to describe, but I guess it’s a mall operator. Located about a half block walk from the provincial hospital it was perfectly located to fulfill the mission’s many needs. 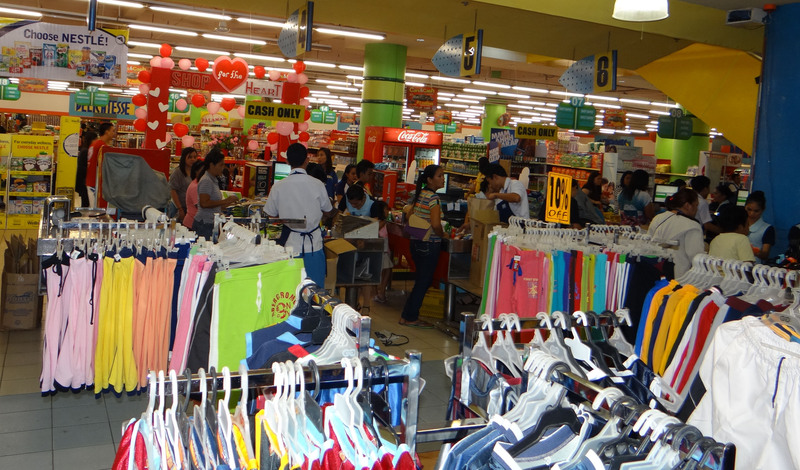 Part of my mission, ok a pretty big part, has been to hit Gaisano’s for everything people needed to drink, snack on, glue, wipe up, cool down, carry, secure, put on their feet, bandage, and otherwise wear. And it’s all under one roof! Some of the stores carry the Gaisano label, others do not, so I will never be able to fairly describe it…think of something that looks like a multi-level Wal-Mart on steroids, rolled up with the a mass of economic activity of a public market. All of us on the mission are asked to contribute in many different ways. As a corporate exec in “real life”, I always tell my reports “don’t walk, but run to where your skill set can be fully utilized”. That said, I am not sure what it means when I very quickly tumbled to (err, unwittingly relegated to?) the designation of “Gaisano’s Minion”. I feel as a minion I am a strong performer and would put my minion assets up against those of any other minion. And please don’t misunderstand, I am truly happy to help get things the mission team really needs, but rest assured that given the speed with which I fell into this assignment will cause me to reexamine my own skill sets when I return home. Oh yes, back to Gaisano’s. It’s not a very well designed building in terms of flow. They maximize space by jamming stuff together. But they have to because it’s structured in such a goofy way, more kiosks than your average US mall, a grocery store on the first floor, with a really curious odor in the meat department that left some who accompanied me to feel a little uneasy. By my tenth trip I was just used to it…A department store, toy store and hardware store along with dozens of others shops and kiosks on the second floor and more on the third floor, including a furniture store. It has a two screen movie theatre that currently features the most opposing of films; Les Miserable and some karate movie from Jackie Chan that I had never heard of. The epitome of Gaisano’s, expect one thing and sometimes get another. After my fourteenth, yes I have graced Gaisano’s fourteen times in three days; one of the most striking things is the number of people working in the facility. If there were that many people working in a grocery or a department store in the US, first you would be amazed, but you’d have to shop there quickly because that store would not be open for long. Workers constantly stocking, then three sometimes four to a check-out counter, armed security and a number of people at customer service…but not talking to customers. I do not want to leave you with the misimpression that all the staff made Gaisano’s a picture of efficiency. The opposite actually, which always made my trip there so full of excitement. They always had me guessing; how many people would I have to ask to find the super glue? Three including the one that said they didn’t even have super glue. How long would it take for one of three stockers in the drink area to get me three cases of water? I don’t have an answer because after waiting 20 minutes I gave up and just took all the individual bottles of water from the refrigeration section…which, not surprisingly, were not at all refrigerated. Getting the picture? A good minion who ply’s his minion trade at Gaisano’s learns to take what he’s given and roll with it. I end today confident that I will return to Gaisano’s several times tomorrow and, therefore, I again welcome a day full of promise and excitement at the unexpected. Rumor has it that that the kiosk selling little Filipino ice cream cones for eight pesos (about a dime) may be featuring cheese flavored ice cream. I don’t know what kind of cheese flavor (I rather doubt it’s a good Gouda), but I am going to have it because, like everything at Gaisano’s, you never know when you’ll be surprised.